Spermatozoa can be frozen and kept for several years. 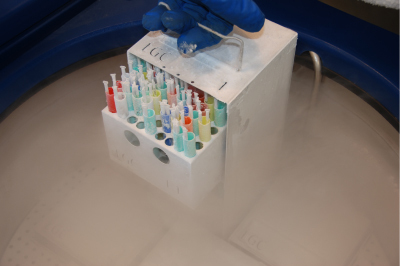 This technique, called “cryopreservation”, preserves samples in liquid nitrogen at -196°C. also, to relieve stress in a patient who has difficulty masturbating and thus avoid the cancellation of a cycle of insemination or oocyte retrieval from his partner. The technique consists of putting the sperm in contact with a cryoprotectant. 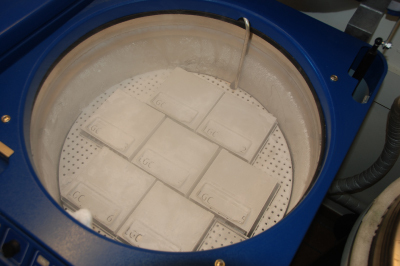 The treated sample is packaged in straws, labelled and preserved in dedicated liquid nitrogen tanks. The sperm doesn’t deteriorate over time but freezing may lead to partial death of the spermatozoa. Belgian law imposes a preservation period of 10 years maximum, which can be renewed every year after this deadline.